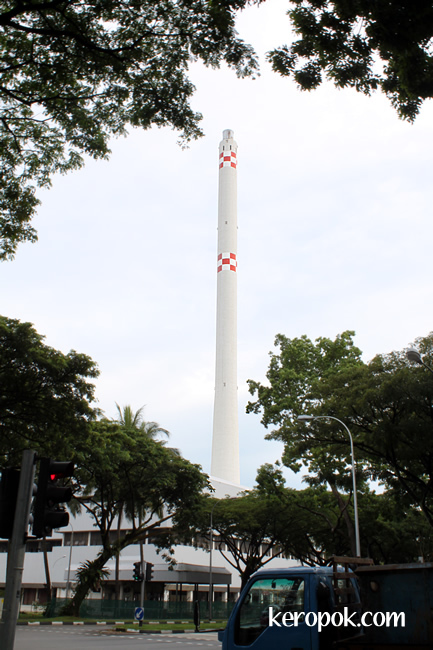 'Boring' Singapore City Photo: Ulu Pandan Incineration Refuse Plant. On 11 August 2009 last year, this incineration plant ceased operation. The plant has burnt our rubbish for a good 30 years. If you are interested to read more, you can read it here. The chimney that you see in this photo, it's 1.15 kilometers high! Wow. I didn't know they stop operation. Most likely it will be tear down for other development. But ya, it's going to be a tough operation. Cannot be 1,15km high. Most likely it is 150 meters high.